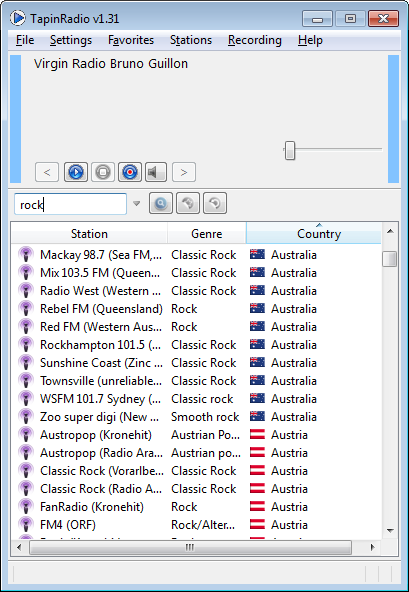 TapinRadio is an internet radio player and internet radio recorder that supports major Internet radio formats such as mp3, wma, ogg vorbis, aac+, etc. It includes quick search features, smooth switching between stations, and a sleep timer. Been using it for a few years and it serves me well. I haven't paid anything. you can order music from Amazon from a visual that comes on when your music is playing. Actually, it is free. Try it and find out. Who in their right mind would continue to download without further information. I am surprised that file forum has not checked this before including it in their Audio downloads section. 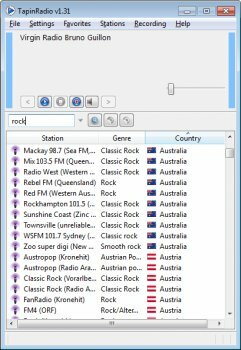 Pros: Good data base to find stations. Cons: Older versions were more customizable. Bottom Line: Been using it for a few years and it serves me well. I haven't paid anything. you can order music from Amazon from a visual that comes on when your music is playing. Actually, it is free. Try it and find out. Pros: Not certain how good or bad this is. The description on the site says FREEWARE, yet the first thing that happens when installing is a window pops up and says this software is no longer free. I decided to not install. Cons: A rating, which is required of 3 from me means not good, not bad. I did not finish the install, so I only know it is not freeware any longer.